Hello, and welcome to the site! Please introduce yourself and The Secret Games Company. Hi, I’m Jeremy Hogan, I’m a game designer from London, where I’ve worked in the games industry for the last 8 years. I founded The Secret Games Company to release two indie projects, board game Dreaming Spires and video game Rise: Battle Lines. A year ago, I left my job to work on indie projects full-time so I could start the development of our latest game, Kim, which has been Greenlit on Steam and is now on Kickstarter. Please tell us about your adaptation of Rudyard Kipling’s Kim. Based on the gameplay trailer, it looks like you’re translating Kim’s adventures into an open-world game reminiscent of Sid Meier’s Pirates or Space Rangers 2. Is this a fair reflection of what players can expect? Yes those are fair comparisons; it’s a mix of genres so get ready for a long description… An RPG with branching dialogues, simple survival mechanics and light combat and stealth action in pause-able real time. I loved reading Kim and learning about colonial India and when I found out that Kipling’s work was in the public domain, I thought it was a unique opportunity to put such great writing into a game. Our gameplay was inspired by Expeditions Conquistador, FTL and Don’t Starve, another game it has a lot in common with is Sunless Sea. Traditionally, adventure games have been defined by two elements: (1) reliance on narrative; and (2) solving puzzles in order to progress. While the former has always been the genre’s strong suit, I would argue that puzzles have been a mixed success. Puzzles can be too obtuse, necessitating a trip to GameFAQs to obtain the solution, or may clash with the narrative. Particularly problematic puzzles, such as the infamous cat-hair moustache, can be guilty of both. Developers have tried to combat this problem in several ways, and interestingly, their approach appears to be evolving over time. 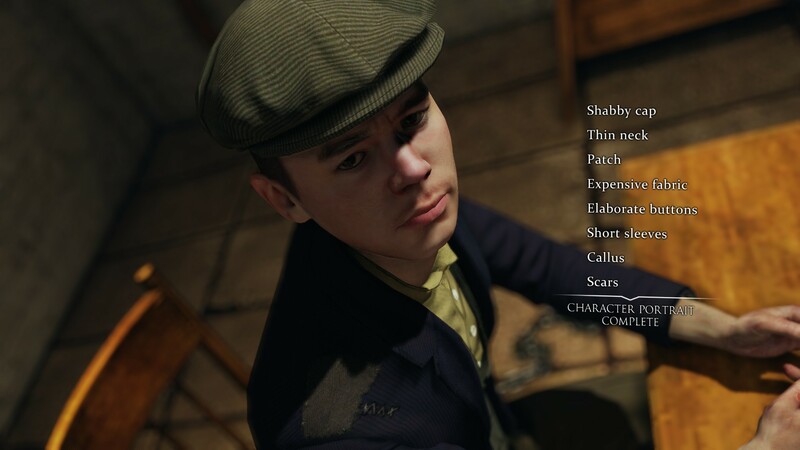 Sherlock Holmes: Crimes and Punishments is an adventure game that doesn’t feel like other adventure games. 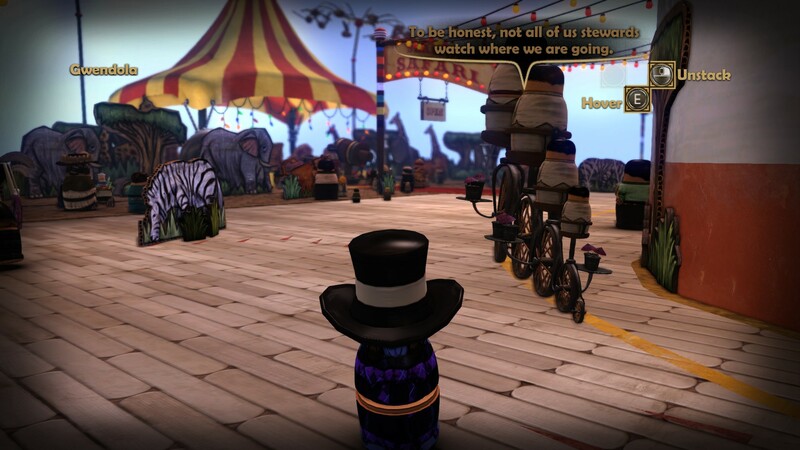 Typically, adventure games give the player several tasks: exploring the environment, gathering items, talking to NPCs, and solving puzzles. The challenge comes from the last element, solving puzzles. Sometimes, this becomes a problem. Either the solution to the puzzle makes no sense (making a moustache out of cat hair), or the puzzle itself is out of place. 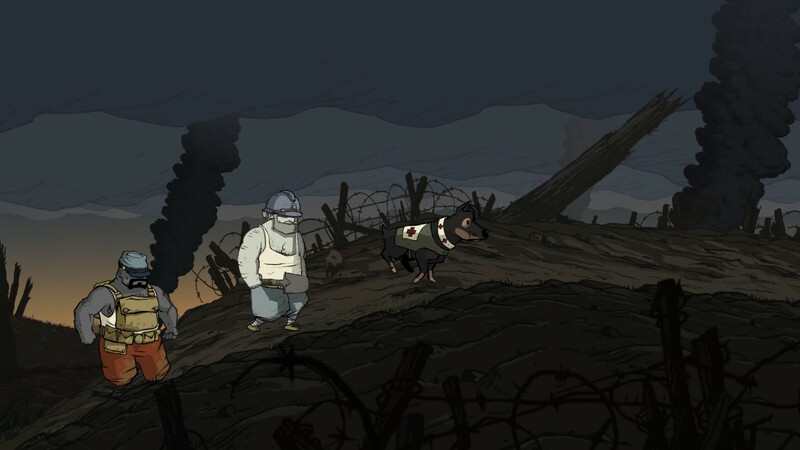 Valiant Hearts wants to tell the truth about war. To do so, it uses puzzles, humour, and a goofy villain. That is the language of adventure games, but it is not the language of war, and the resulting contradiction has divided reviewers. My response was mixed – I appreciated the first half of the game, but found it “frustratingly inconsistent”. After finishing Valiant Hearts, I’m a bit more positive – its second half features better puzzles and is truer to its themes. In the first half of the game, battle is sometimes terrifying, but just as often turns into pulling levers and carrying gears. The second half is cleverer. It reserves its baroque puzzles for sequences away from the front, where they feel much more appropriate. The second half also evokes a wider and, I think, more accurate range of emotions. Combat in the first half is uniformly negative. Combat in the second half is mostly negative – and sometimes thrilling. Overall, Valiant Hearts receives my qualified endorsement: the less you mind the contradiction, the more you will like the game. Sometimes, it’s laugh-out-loud funny. Sometimes, it’s exhilarating. Sometimes, it’s nerve-wracking. Ultimately, it says, the war was monstrous and unjust. It strikes me as a sincere attempt to convey the emotions of World War 1, and if you can forgive its flaws, I think it’s worth a look. I’m halfway through Valiant Hearts: The Great War, Ubisoft Montpellier’s adventure game set during World War 1. Billed as a “story of crossed destinies and a broken love in a world torn apart”, VH‘s heart is in the right place — but its execution can be frustratingly inconsistent. 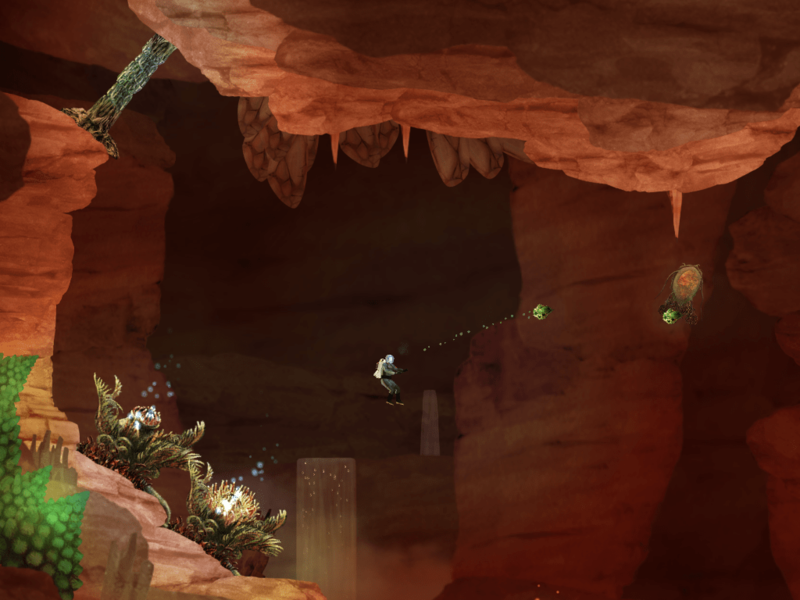 As with Ubisoft sibling Child of Light, VH‘s most noticeable strength is its presentation. The art is as lovely as its subject is grim: in eight hours, I’ve already taken 286 screenshots (several are at the bottom of this post). Environments are packed with detail, from the lights of pre-war Paris to a lonely skeleton buried beneath a trench, not far from a rusty shovel. Since that sequence calls for you to tunnel under the same trench, the shovel is a sobering touch. Who was that luckless sapper? We will never know — and that, I think, was the developers’ point. For a fan of the movies, Episode 1 of Back to the Future: The Game strikes just the right balance between familiarity and originality. I’ve just finished Episode 1 of Back to the Future: The Game, a 5-part point-and-click adventure game from Telltale Games of Walking Dead fame. (I estimate Episode 1 is around 3-4 hours long, which suggests that the entire series is 15-20 hours.) Rather than overlapping or rehashing the Back to the Future movies, the game is an original story that “begins” sometime after the end of the trilogy. 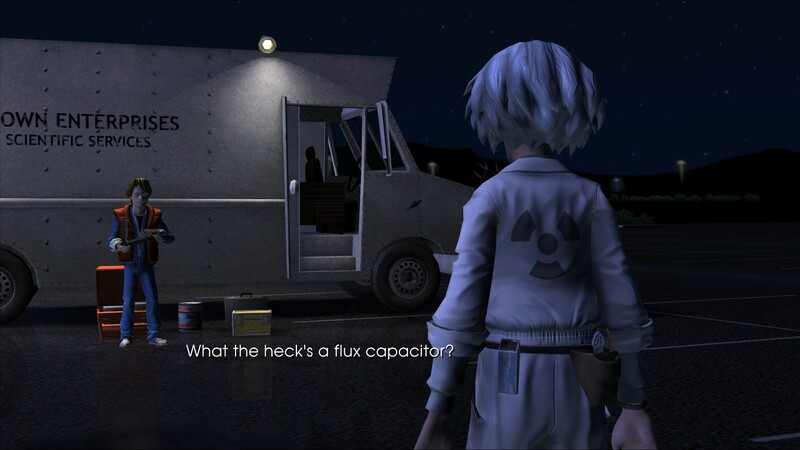 It is very much a traditional adventure game, in which players control Marty McFly as he solves puzzles, uses items on the environment, and makes wry observations on his situation; if there are any elements of action or reflexes in BttF, I haven’t seen them yet. So far, I very much like it for two reasons: it succeeds both as an adventure game and as a homage to the movies. As an adventure game, Episode 1 of BttF has the genre’s traditional strengths: it’s witty to the point of being laugh-out-funny, and solving puzzles makes me feel like a genius. The puzzles themselves are sensible and well-designed – no cat-hair moustache here! 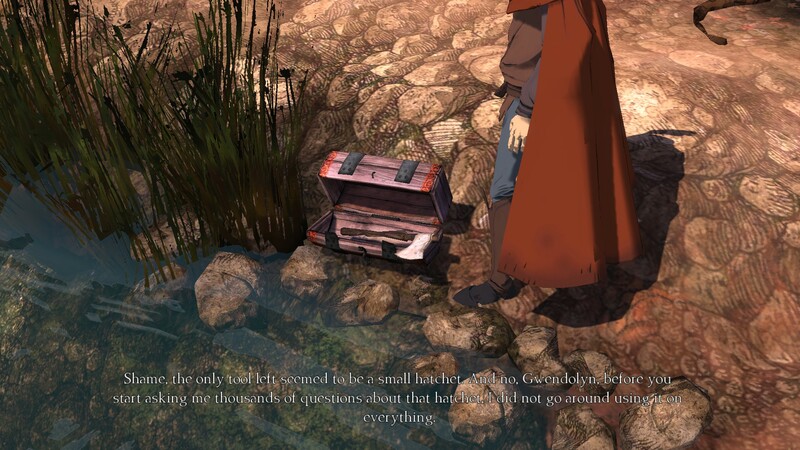 – and one, in particular, is amongst the best puzzles I can remember in an adventure game; while not challenging, it’s unique, hilarious, and perfectly fits the characters’ situation (1). Production values are a mixed bag; I do not find BttF’s graphics very attractive; but its excellent voice acting makes up for it. As a homage to the movies, Episode 1 works equally well. The voices, as noted above, help; Christopher Lloyd reprises his role as Doc Brown, and AJ Locascio does a great job as Marty. But the writing is key, and I wish I could spoil it for you! As is, all I can say is that Episode 1 strikes the right balance between familiarity (“hey, cool, this is just like the movies!”) and originality; while it recycles the movies’ formula, the juicy details are all its own. Overall, if you enjoyed the Back to the Future movies and you are a fan of adventure games, you should definitely check out Episode 1 of Back to the Future: The Game. While I can’t vouch for the quality of the other episodes, I do look forward to trying them out. 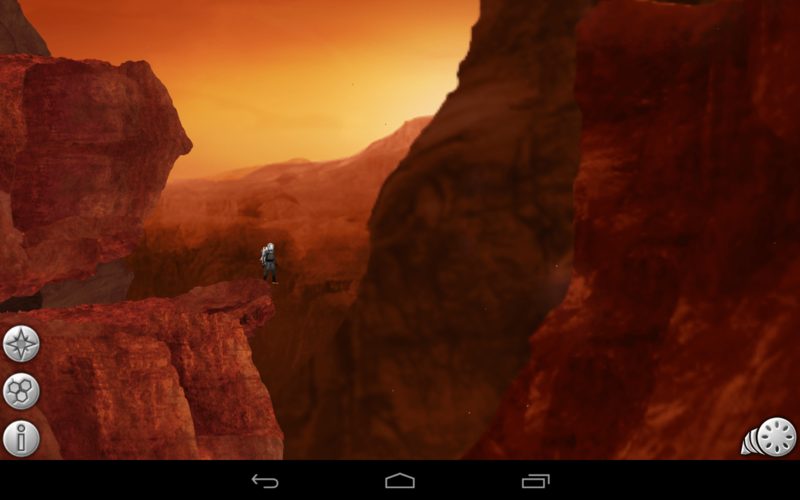 So I’ve had a few days to play around with the current Humble Bundle, Android #4– by way of introduction, this offers Android, PC, and Mac copies of five indie games (Splice, Eufloria, Waking Mars, Crayon Physics Deluxe, and Superbrothers: Sword & Sworcery EP) on a pay-what-you-want basis. Paying more than the average (currently $6.61) will add another six games: Machinarium, Avadon: The Black Fortress, Canabalt, Cogs, Swords & Soldiers HD, and Zen Bound 2. 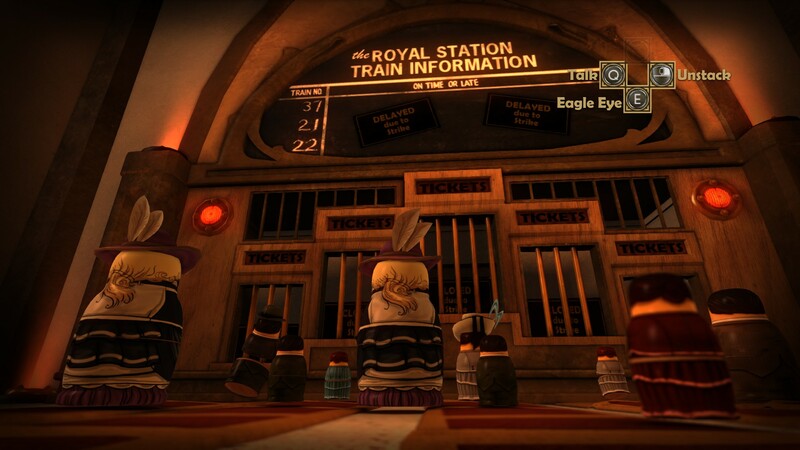 Stacking, Double Fine’s Russian doll-themed adventure game, is a treat for the eyes as well as the funny bone. 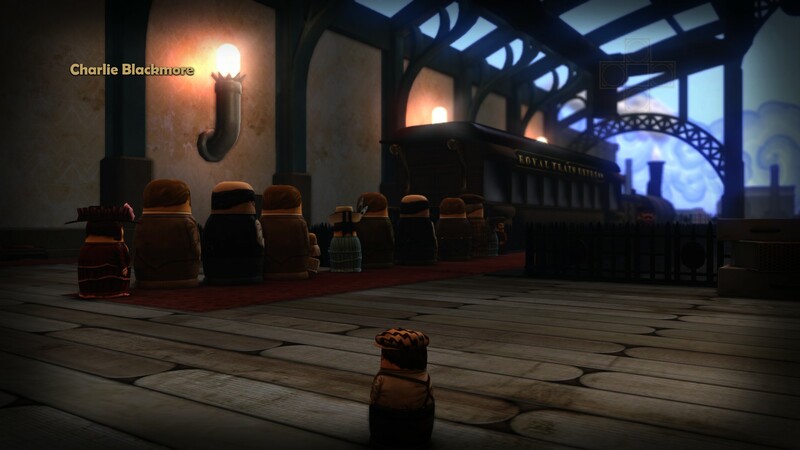 In the above screenshot, a mismatched crowd queues up for tickets at a train station; their distinct designs, and the station’s warm ambience, speak to the love and craft with which this game was made. Stay tuned for a full review once I’ve finished!